For most of us, navigation apps on our smartphones have eased our driving experience by making it much simpler to find our way around. 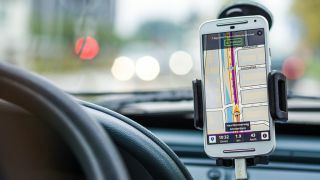 But an announcement made back in November by the NSW Government will now require all provisional and learner drivers to invest in GPS equipment if they want to employ some digital-assistance while navigating through the state. In a move to reduce the number of fatalities on the roads by new drivers, the state’s government has banned all P-plate (P1 and P2) and learner drivers from using their mobile phones in any way, including navigation apps and music — and yes, that even applies if the device is safely inserted in a dashboard-mount. This blanket-ban came into effect on 1 December, and it includes using a mobile phone at any time — even while waiting at a traffic light or while stuck in a jam. The ban requires new drivers to be “parked out of the line of traffic” for any phone use. P- and L-platers will be penalised four demerits points for illegally using a phone and could face a three-month licence suspension. These rules have been put in place to ensure young drivers concentrate on vehicle control and develop strong hazard-perception skills. Visit the Transport for NSW official page for more information.